A Romantic-style handmade table lamp. 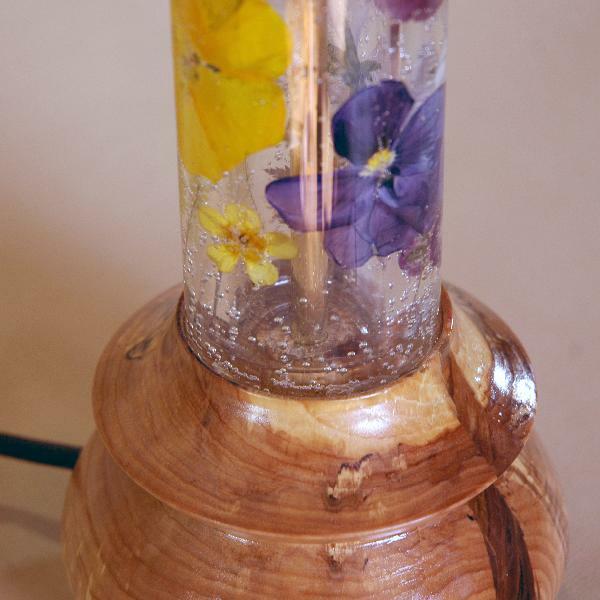 The base is crafted from rowan wood and a transparent pipe with dried flowers inside. The cloth lampshade is decorated with insertions of jewelry resin with dried flowers inside. cloth or veneer options are available for the lampshade. A one-of-a-kind interior decoration and a wonderful gift for anyone with a passion for natural beauty.